Many people’s iTunes libraries are in a mess. The unorganized conditions may hinder you from finding the tracks you desire quickly. This is a bit annoying in some cases. Therefore, here I would like to show you some best top music fixers for you to clean up and organize your iTunes library. You can also get some tips to make your iTunes library nicely presented. In order to keep your iTunes library cleaned and organized, it is sensible for you to make use of the music file fixer to help you. Since the tools that have this feature are diverse, it is a bit time-consuming to choose the best one for you to apply. Here I would like to recommend the top 5 of them for your reference. You can have a quick look at their introductions and choose one to assist you. iTunes may be the first music file fixer that comes to your mind. This tool is totally free for you to apply to organize your music library. 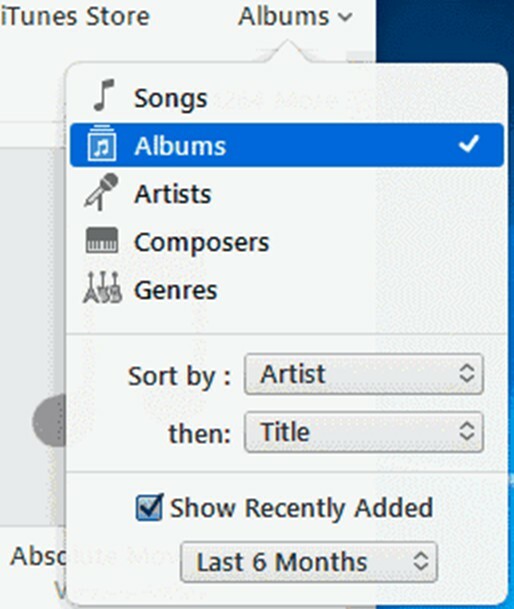 You can make use of it to delete duplicates, grab album art, and classify your iTunes music properly. The filter feature of it is also good to use. 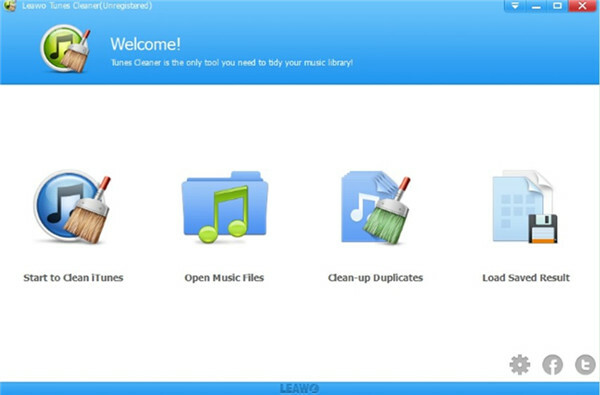 Leawo Tunes Cleaner is also known as one great music file fixer for you to have a try. This all-in-one iTunes cleanup program can clean up your iTunes library, detect and remove duplicates, obtain album artwork, add music tags, and complete music info. It can also assist users to edit music tags manually and save the unfixed songs for fixing later. With the help of this tool, your iTunes libraries will become well-organized. You also should know that the trial version is free and the registered version of this program calls for payment. 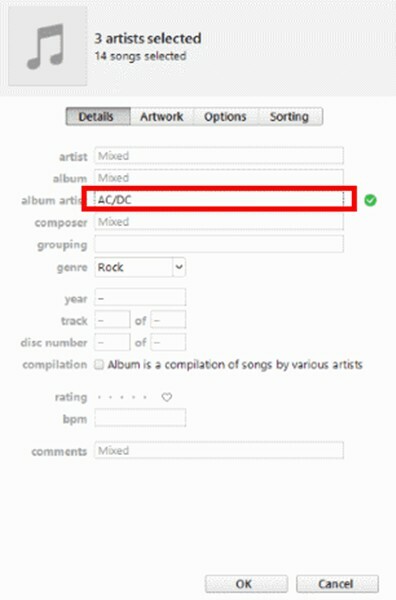 MusicBrainz Picard can fix iTunes music efficiently, which is one best free music tag fixer and music filename fixer. You can use some plugins of it to customize the performance of this software. 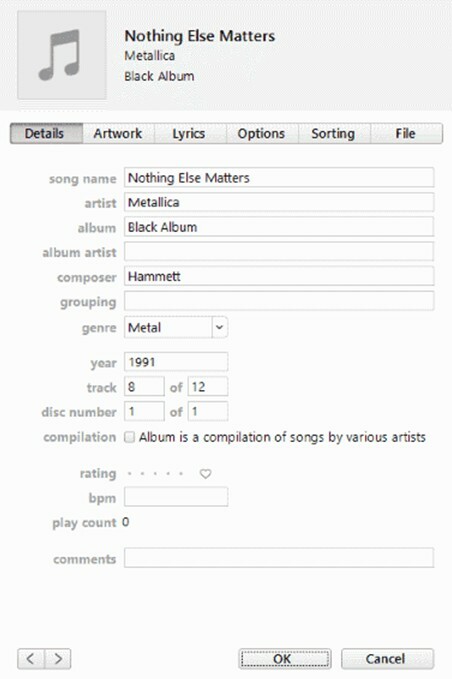 It is open-source, which is really convenient for users to edit tags and file names of songs in iTunes. 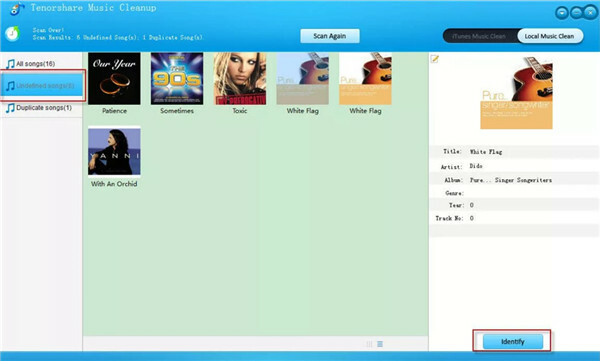 Wondershare Tidy My Music is one perfect automatic music tag fixer, which is good at processing music collections in great number, searching and adding mislaid album, downloading lyrics, and identifying identical songs. It can clean up iTunes library with high efficiency, which is quite simple to use. The instinctive user interface attracts many users to download and install it on computer. Tenorshare Music Cleanup has a great reputation among users for its excellent capacity. Its comprehensive features in organizing iTunes library can meet the needs of each user. It can detect and delete duplicates quickly, fix music info, and sync fixed music to iTunes or local music library. The interface of it is user-friendly, which can guide you to clean up iTunes thoroughly. After you have a brief reading on the features of some iTunes music fixers, you can continue to see how to use them with the step-by-step instructions shown in this part. You can learn how to apply iTunes, Tunes Cleaner and MusicBrainz Picard to clean up your iTunes music respectively in detail. iTunes is really one free music metadata fixer. The following contents will tell you how to employ this tool to make iTunes library organized. 1. Run iTunes on computer and then move to the area of “My Music”. Select the option of “Songs” to click on. Thus, you can hit on the tab of “Artist” to sort your music. 2. Make sure other music info like “Album by Artist/Year” and “Genre” are available at the top. Thus, you can check out if the “Name“, “Artist” and “Genre” info of each music item is correct or not. 3. When you find one piece of info is not right, you can click on the info text that you desire to modify to edit it manually. 4. If you see various errors on music tracks, you can right-click on one track and choose the option of “Get Info” to hit on. 5. You can see multiple information showed in the panel that pops up. Thus, you can modify the music tags as you like. Hit on “OK” button to save your settings. 6. After that, you can navigate to the menu of “Albums” to fix its info. 7. 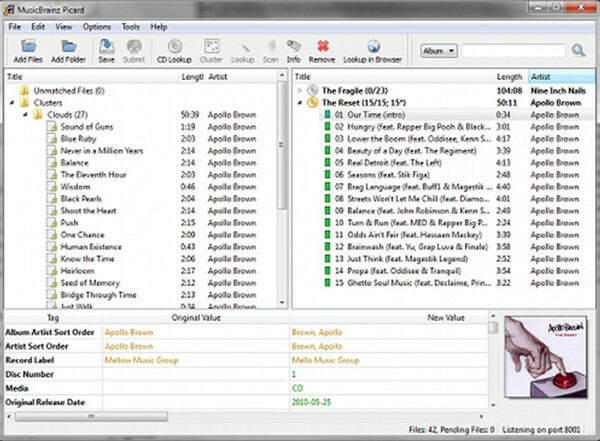 Scanning from the top of the music list to check for the albums that do not have any artwork or only show the track note. When you find them, you can right-click on one track to choose “Get Info” to hit on. Thus, you can edit the album info in the pop-up pane. 8. 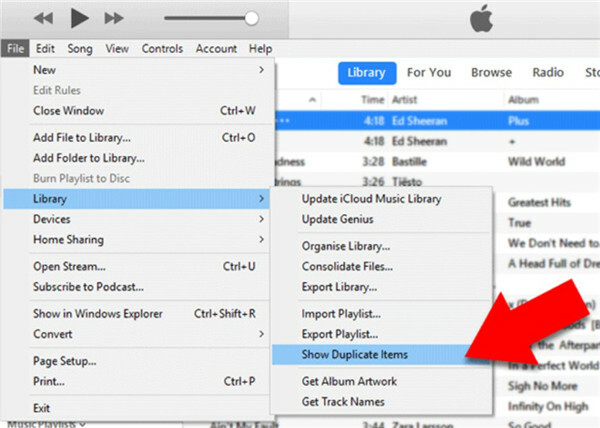 You can also hit on “File> Library> Show Duplicate Items” to filter the duplicates on iTunes music library. A list of all duplicates will be shown in the interface. Thus, you can remove the duplicates all at once or just delete one track. With the detailed instructions shown above, you can employ iTunes to the most to keep your iTunes music library clean and tidy. 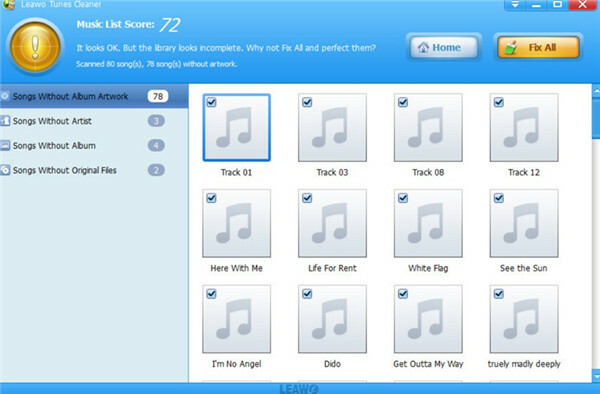 Leawo Tunes Cleaner is a more convenient iTunes music name fixer and iTunes library organizer. The steps shown below will display how to allow this tool to play its role in cleaning up and organizing iTunes music. 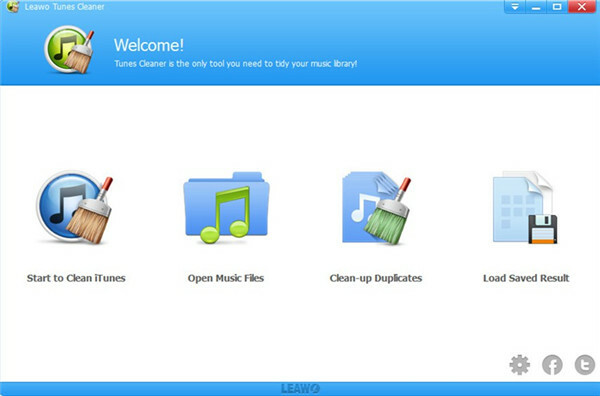 Launch Leawo Tunes Cleaner on your computer and 4 options will show on the screen: “Start to Clean iTunes”, “Open Music Files”, “Clean-up Duplicates”, and “Load Saved Result”. a) From the main window, hit on the option of “Start to Clean iTunes” and then tap on the button of “Fix All” after the scanning process comes to an end. b) Wait for the end of the fixing procedure and then hit on the button of “Apply” to finish the cleaning work. a) From the main window of the program, click on the tab of “Clean-up Duplicates” and then choose “Quick Scan” or “Deep Scan” option. b) Hit on the button of “Scan iTunes” to wait for the list of the duplicates shown in the interface. c) Tap on the button of “Remove” after you check the track that you desire to delete. Thus, they will disappear from your iTunes library in a few seconds. The automatic fixing process of this tool can fix most of the music info. If you want to modify the info manually, you can hit on the edit icon in each track frame to call out the tag panel. Thus, you can alter or add the music tags by yourself. Remember to hit on the “Apply” button at the top right corner to save your settings. 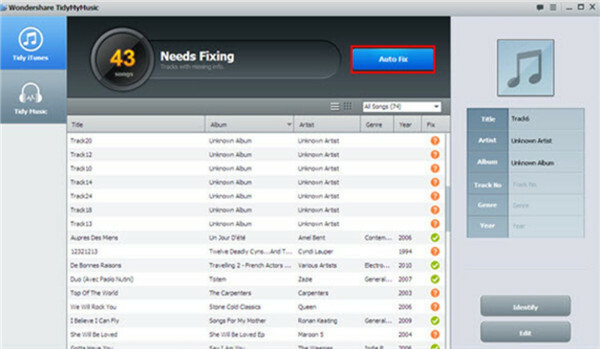 This program is quite professional and easy for you to handle how to fix iTunes music library. You can download and install it on your computer to have a try. After that, you will know how great this tool is. 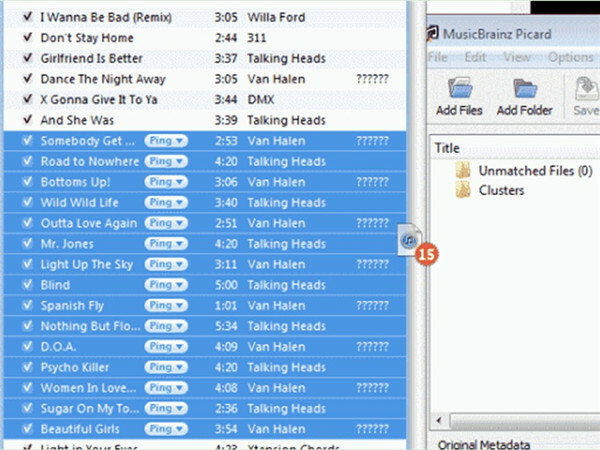 MusicBrainz Picard, a perfect music tag fixer free, allows users to label and tag your track in iTunes library with correct info quickly and easily. 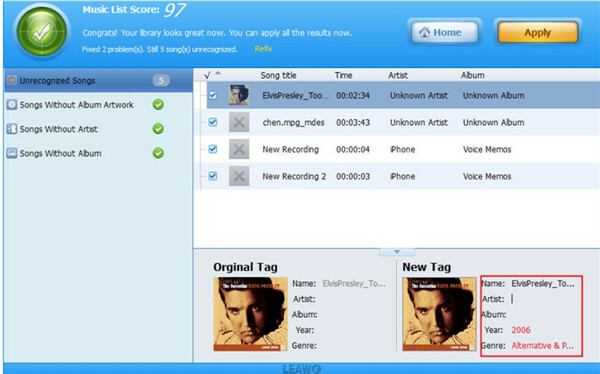 Check out the following steps and you will learn how to use this excellent free music tag fixer. 1. Kick off iTunes and then sort your iTunes by “Artist” or other columns. Then you need to run MusicBrainz Picard on your computer to drag and drop the tracks that you desire to clean from iTunes over to the window of MusicBrainz Picard. 2. When iTunes tracks are in the window of MusicBrainz Picard, click on “Unmatched Files> Scan” successively. Thus, the tool will begin to scan the album info of each item. The music that has some info error will be shown in pink on the left side of the interface. 3. Click on “Save” button after you highlight the music tracks that you desire to save with new info. 4. Play the song that you have fixed to allow iTunes library to be updated with the new info. MusicBrainz Picard is really not hard for you to use at all. Its interface is user-friendly and the efficiency of it to fix iTunes music library is comparatively high. With the help of the duplicate music fixer and music tag fixer windows, your iTunes music library can become well-organized with proper info. Thus, it will be much simpler for you to locate the song you desire to enjoy listening. Hope you are fond of this guidance and it can make your iTunes library cleaned.